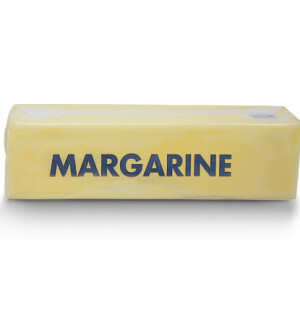 Brings superior oil and grease resistance for demanding margarine applications. Acadia® Dairy Wrap is an uncoated, machine-finished paper that offers superior oil and grease resistant properties. This paper is designed to deliver flawless performance from converting to the consumer’s kitchen. It is the perfect choice for high-fat applications like margarine wrap. Acadia® Dairy Wrap is custom designed to meet the needs of individual customers. Please contact us to discuss your specification requirements.